This image was a finalist in the Shoot an Share contest. 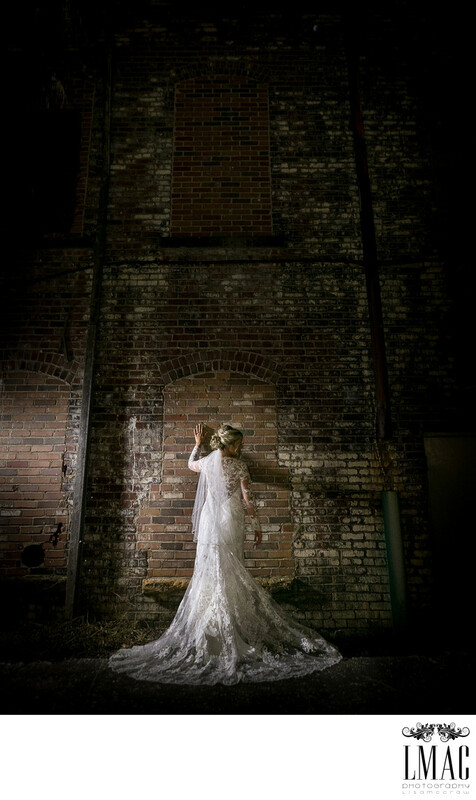 It's a stunning bridal portrait shot at night at Lock 3 in Akron, Ohio. Lock 3 is a popular outdoor Akron Ohio photo location. This wedding was held in December therefore we knew it was going to be dark at photo time. LMAC Photography enjoys the challenge of playing with light an was able to create this image with some exterior lighting and a stunning wedding dress. Such an amazing photo and beautiful bride! Location: 1 S High St, Akron, OH 44308.